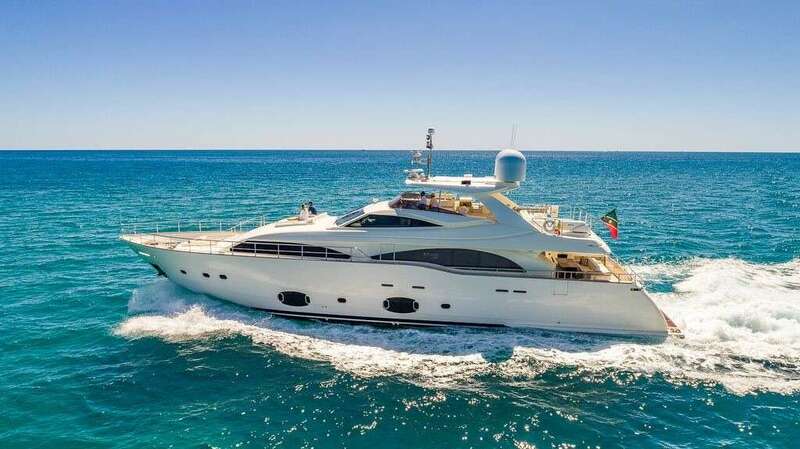 97 Ferretti CustomLine is a spectacular 97 Feet boat that is perfect for an unforgettable yacht vacation. 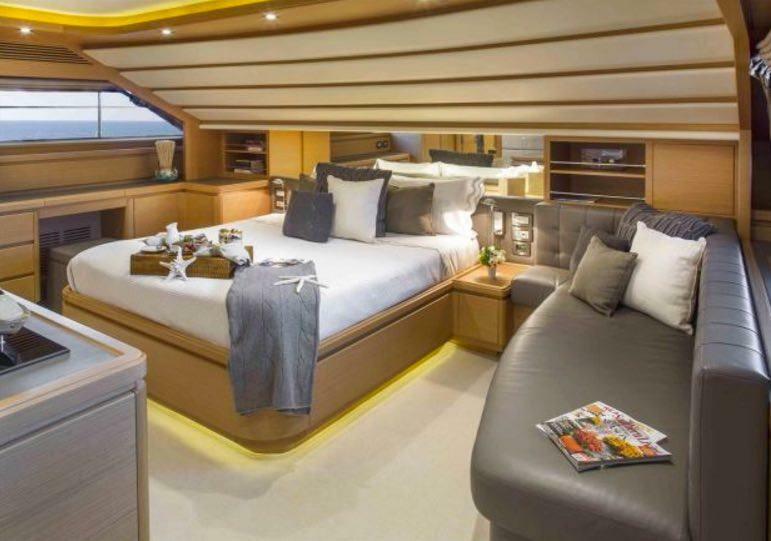 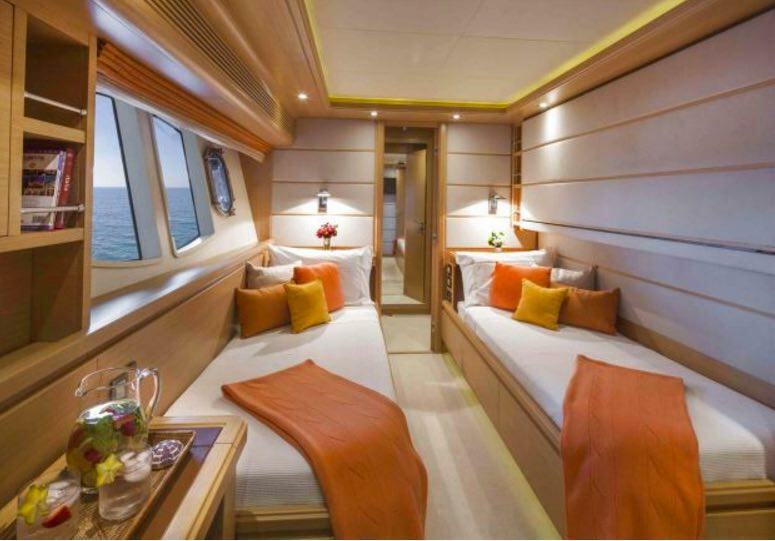 The yacht is designed to sleep 10 people in 5 comfortable cabins. 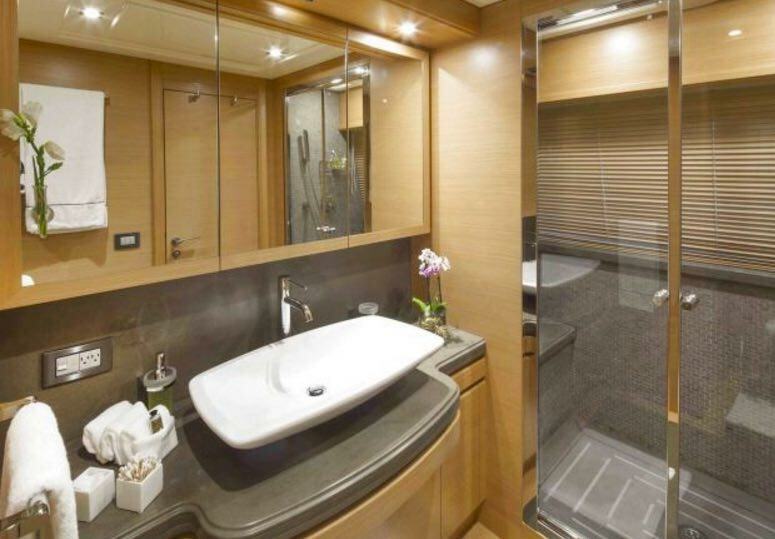 97 Ferretti CustomLine yacht was built in 2011 by Ferretti. 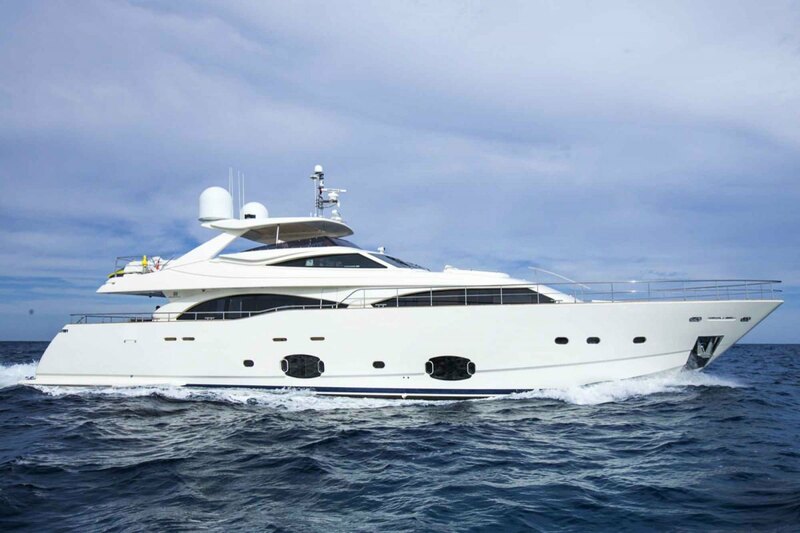 The yacht is equipped with Engines & Generators: 2xMTU 16V2000. 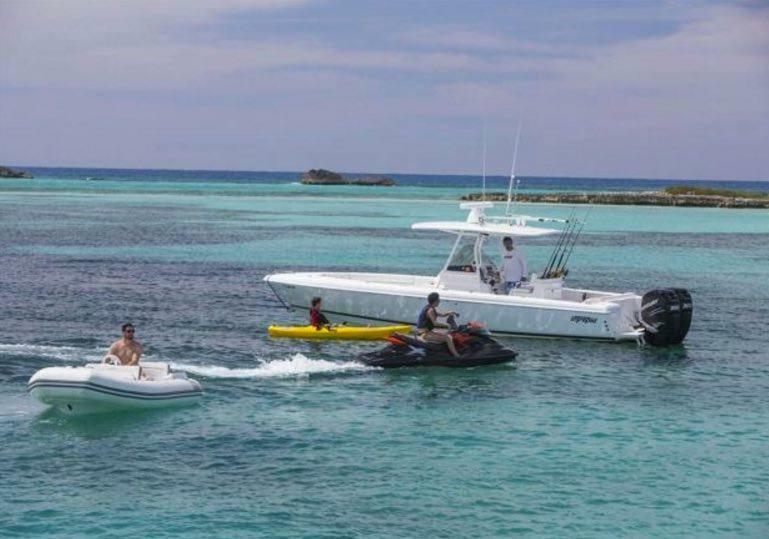 2X KOHLER 55EOZD Fuel consumption (US gal/HR):	@1350RPM 50GPH (MTU) engine, and is capable of a max speed of knots. 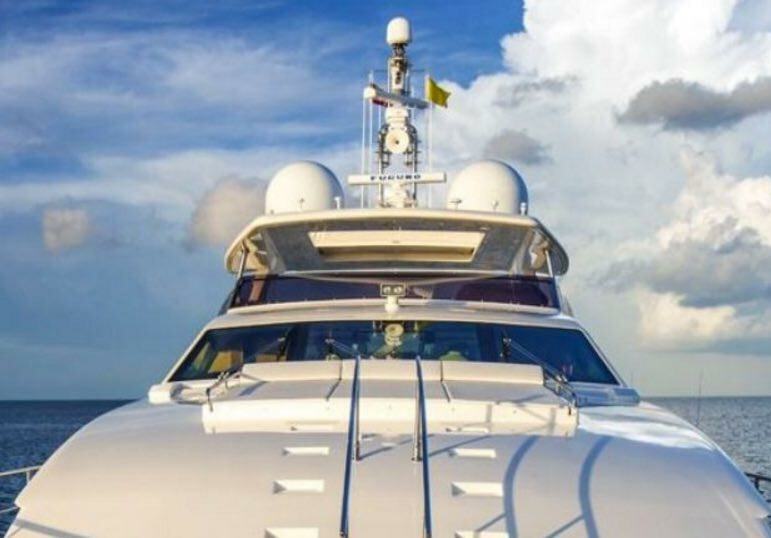 The yacht cruises at a speed of 11.5 knots. 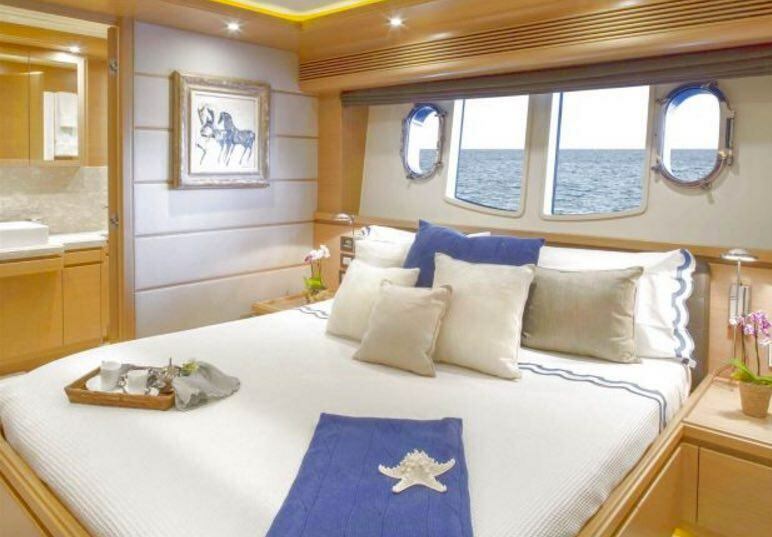 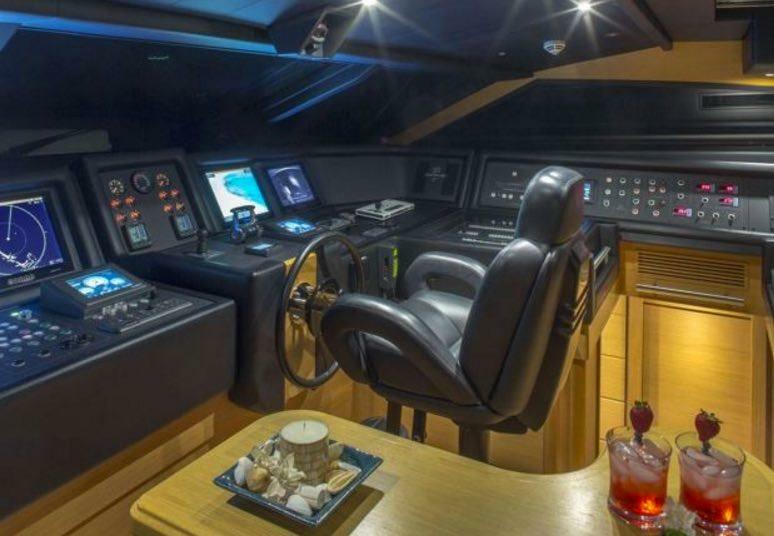 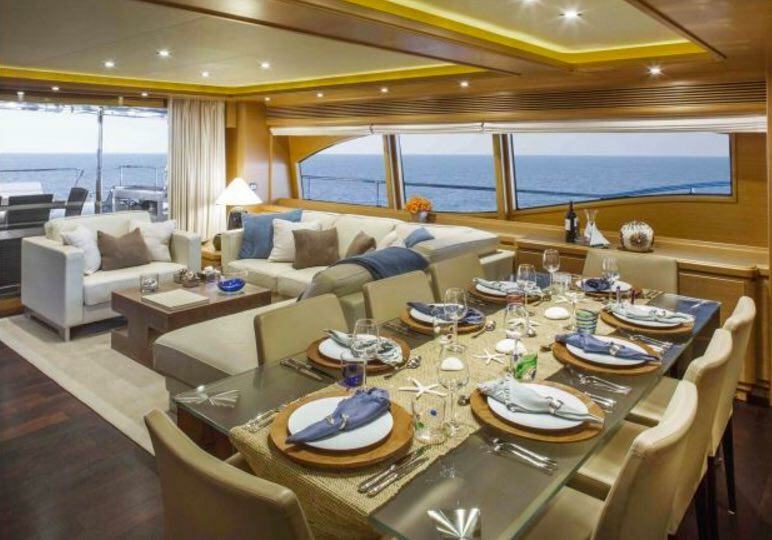 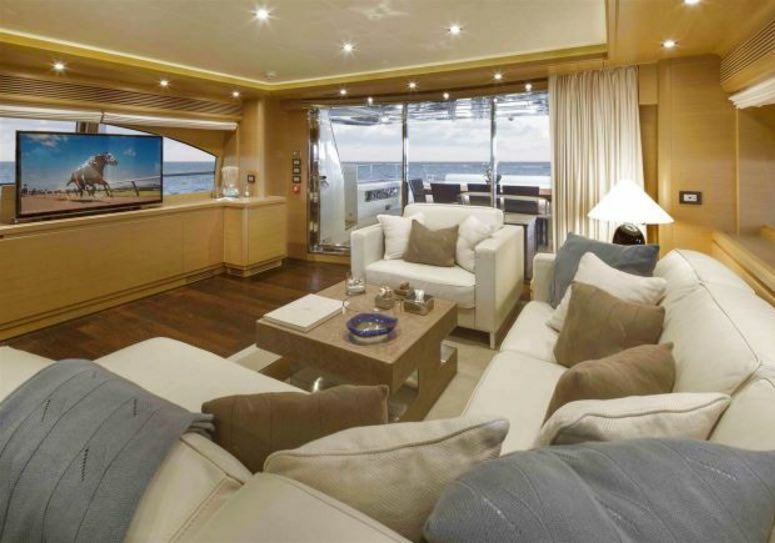 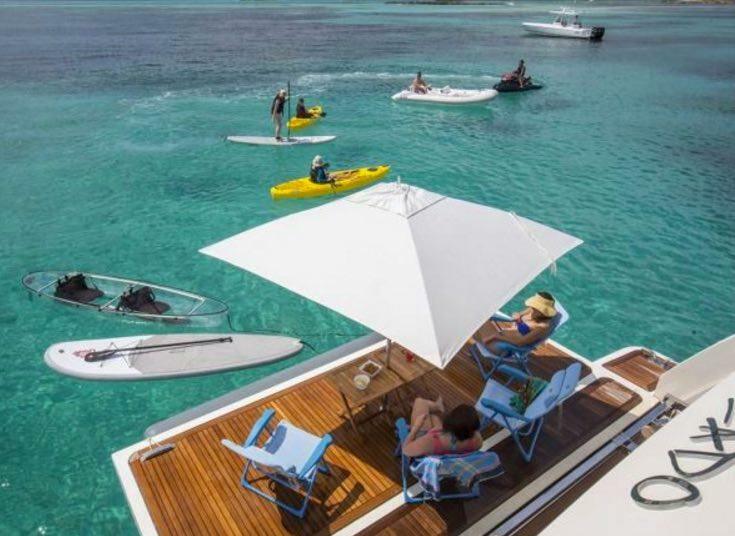 You and your party will truly enjoy this yacht as it offers many cool features and entertainment, such as: Salon TV, Salon Stereo, Satellite TV, Pets Aboard, iPod/Device Hookups, Internet Access, Wave Runners, Fishing Gear, 1 Pax Kayak, Sailing Dinghy, Snorkel Gear, . 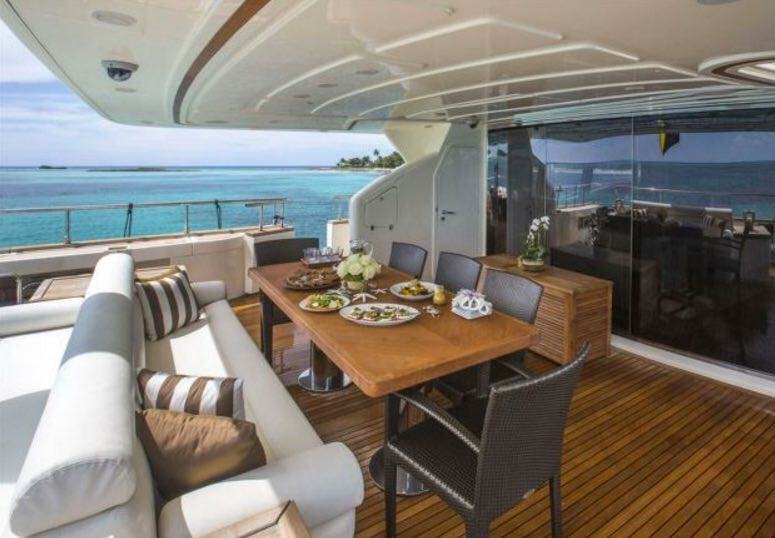 The yacht is available for charter in North Miami. 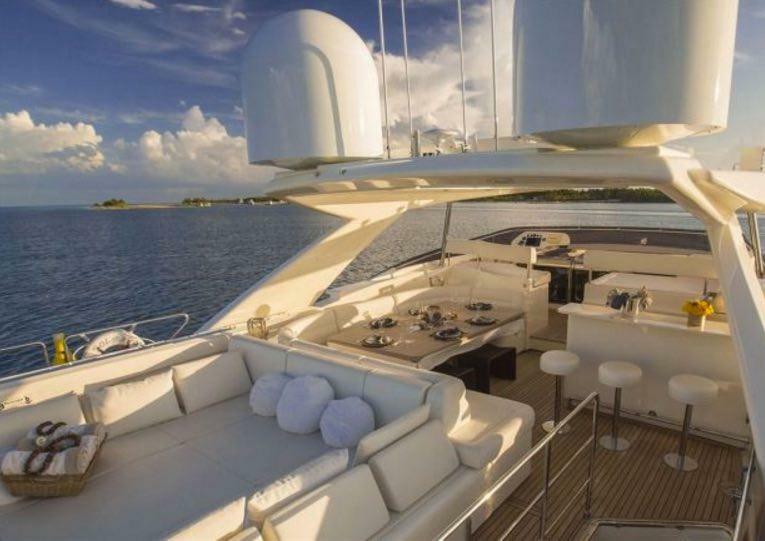 You can charter the yacht for $7,500 for 4 hrs or for $8,500 for 8 hrs. 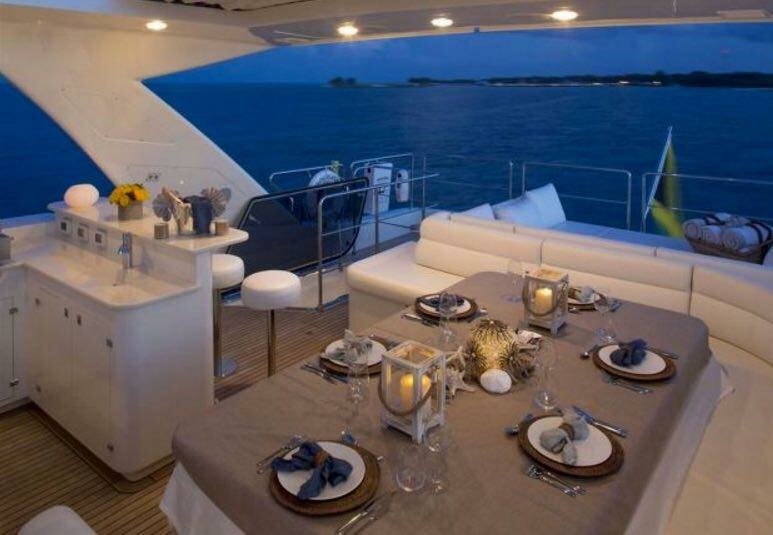 The yacht comes with 4 crew members.